​Chicago Red Stars have launched a classy new Nike home kit for the 2019 National Women's Soccer League (NWSL) season, set to be worn by the likes of Julie Ertz, Sam Kerr, Morgan Brian and number one college draft pick Tierna Davidson. Launched with the tagline, 'elevating the game', the blue jersey is specially made for Chicago. 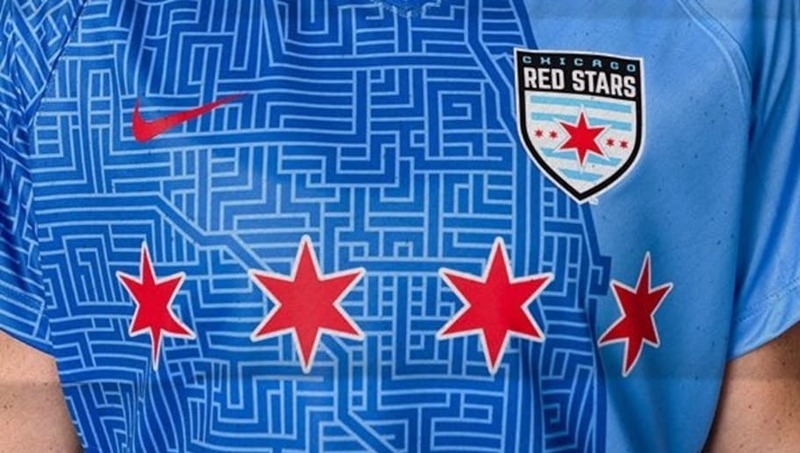 With the city flag's four red stars printed across the front, the pattern mimics the Chicago Transit Authority (CTA) system, giving way to a Chicago skyline on the back of the jersey. Having opened the season on the road against North Carolina Courage, Red Stars will play their first home game of the campaign in their new kit against Portland Thorns this Saturday. With the kit launched on Sunday, Red Stars proudly stated that almost half the stock had sold on that first night alone, such has been the rush from fans to get their hands on this jersey. Red Stars are the oldest professional women's soccer club in the United States and was a founder member of the NWSL in 2012 after previously playing in several other leagues.